Steps are often included in a garden design for their functionality and ability to link areas of the garden that are at different levels. 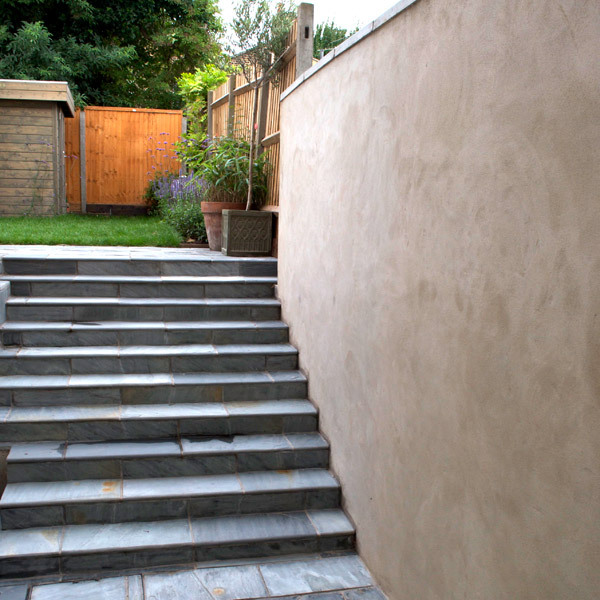 I don’t think we have surveyed a garden that is completely flat and it is usual for the garden to either be sloped or undulating. 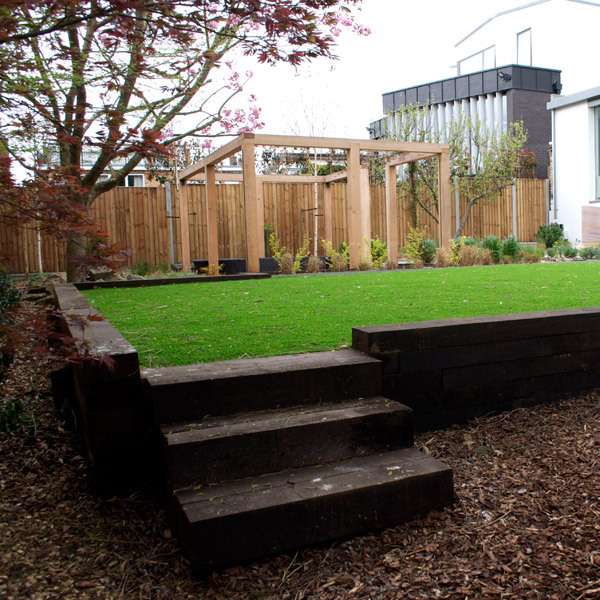 Leveling a garden so that it is completely flat is not a viable consideration for most homeowners as it would entail the removal of tonnes of soil. 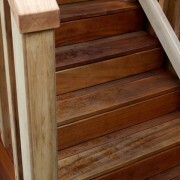 Garden steps are the most efficient solution to overcome this level differential. 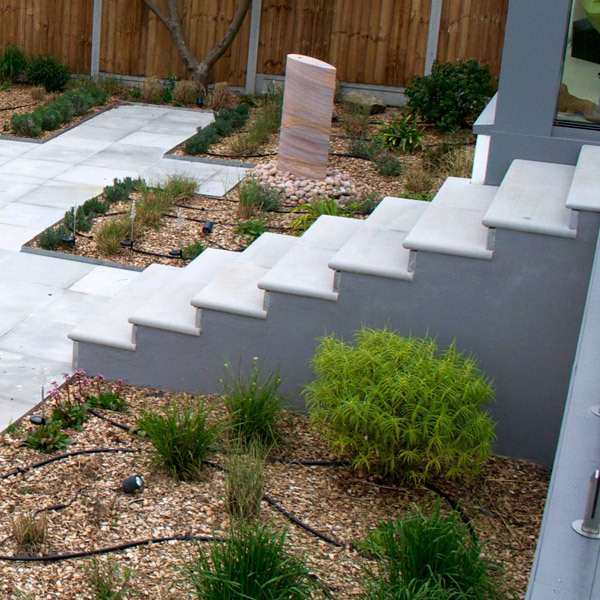 The number and width of steps is completely dependent on the extremity of the level changes and style of the garden design. 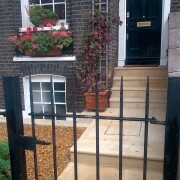 An obvious requirement for steps is at the front of the house where there is a height difference between the street level and the front door. 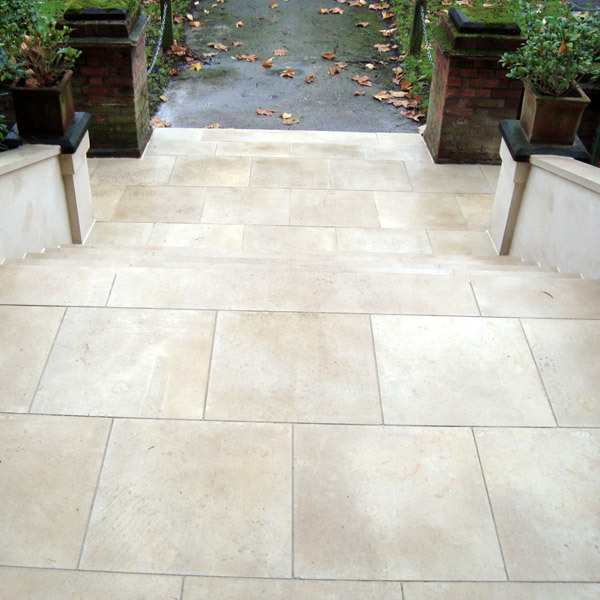 The front garden is an important feature to any house and the steps leading up to the front door give off that vital first impression. 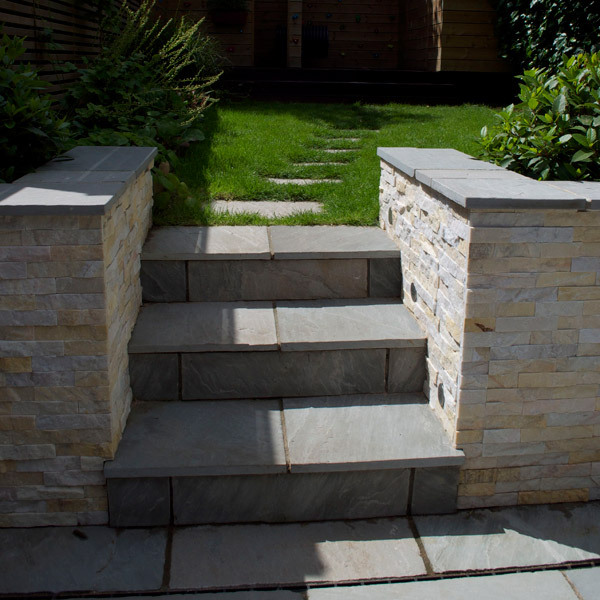 But steps are not just for function, sometimes level changes are deliberately incorporated into the design to cleverly break up the space and make the eye have to work hard to see the garden all at once. 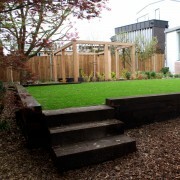 This clever division of space can make a garden feel much larger and spacious than if designed on one level. 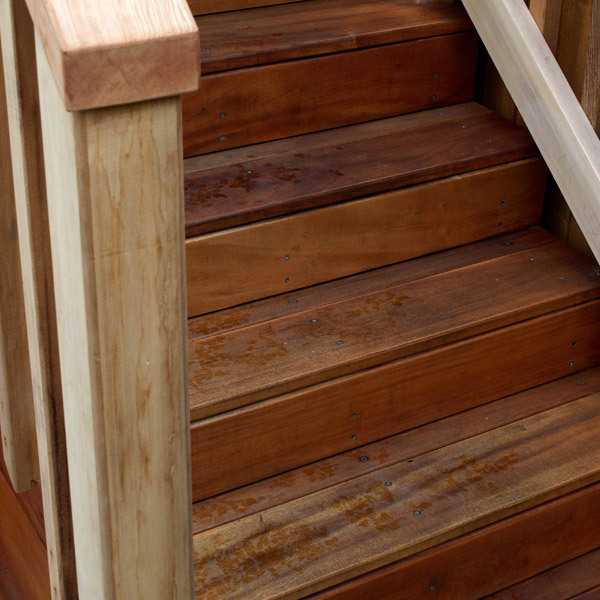 Careful design and planning must go into step construction – as a general rule risers should be within 125-200mm and treads 200-350mm. 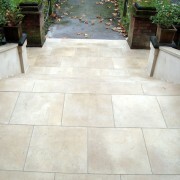 With greater level changes you might incorporate a landing or platform area which are usually 800-1200mm. 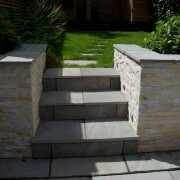 In a rural context steps can also be made from lumps of stone, logs, sleepers and crushed stone. 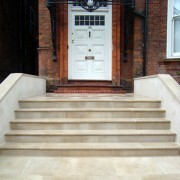 Steps can also be combined with ramps for disabled access. 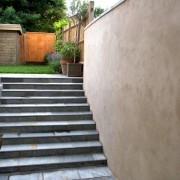 There are many aesthetic considerations in the finish of the steps. There are various different profiles available for the edges of the step treads such as bullnose, half-bullnose, cove or pencil round. 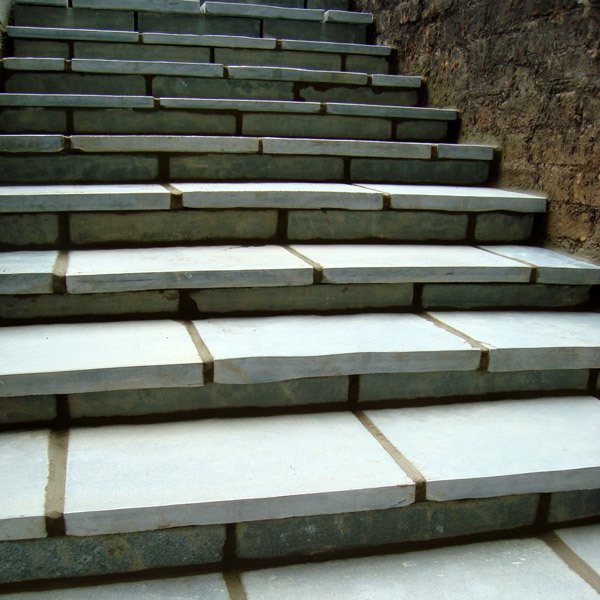 Stone can also be sealed to make the steps more weather resistant which helps reduce the build up of dirt and algae. 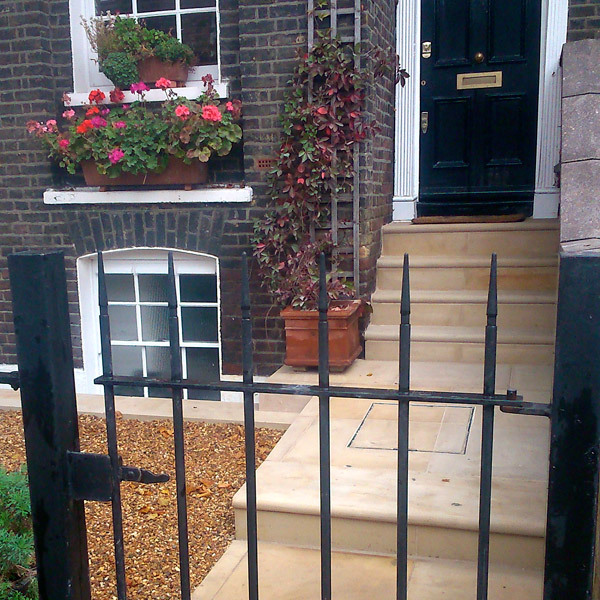 Sometimes additional grip maybe required to the front of the treads and there are some further options for this. 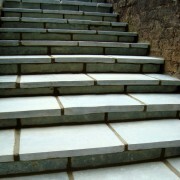 Please get in touch with us for more information on different types of steps.